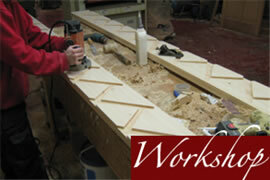 Merrin Joinery specialize in producing purpose made joinery for Listed Buildings and Period homes. We believe that every property needs authentic joinery to maintain and enhance its character. That’s why each window, door or staircase we make in our Nottinghamshire workshop is individually designed to match the original architectural features . Established in 2000 our clients have the peace of mind of knowing that we are a well established company with a reputation for producing high quality joinery. Please take a look at our gallery to see examples of our work. The bespoke nature of the service we provide means that we can manufacture any design from any timber.